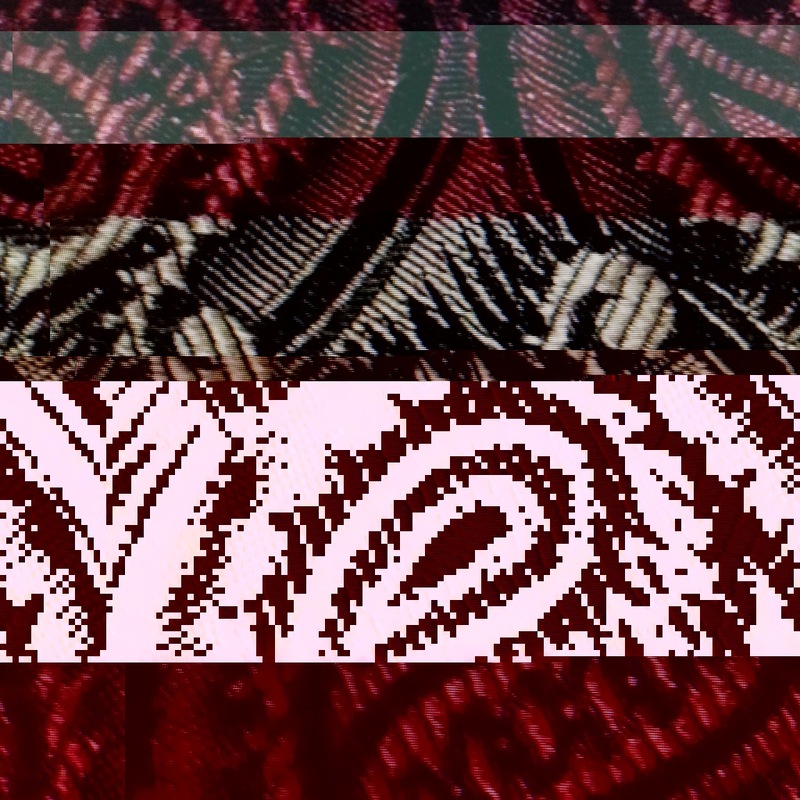 ‘Coded Cloth’: An investigation into generative design as a digital-led design process for jacquard weave, using code to program, and as a tool to reanimate historical jacquard pattern archives. ‘Coded Cloth’ is a collaborative research project with external partners: The Silk Museum and Paradise Mill, Macclesfield. 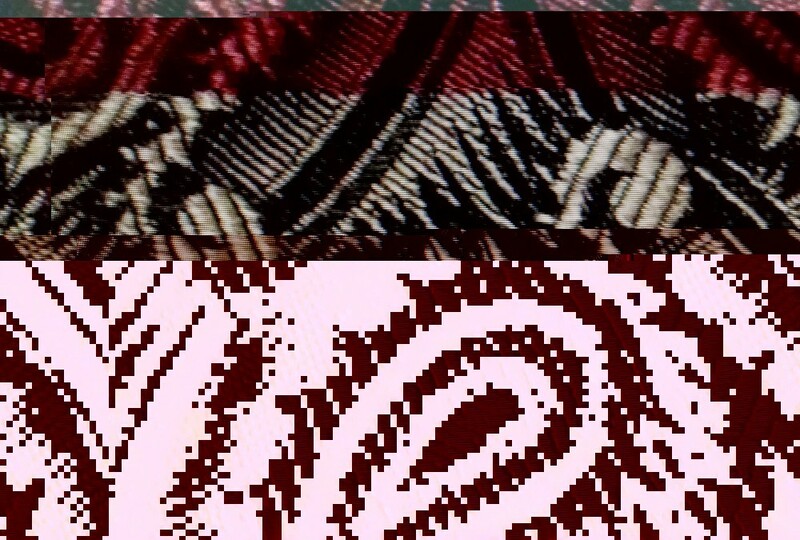 It utilises archival materials to explore, through generative design and programming, the creation of woven pattern designs, for digital-led jacquard weaving. A working relationship was established in 2013 with the Mill, to interact with their extensive silk jacquard archives (figures IV-VI). These designs were traditionally produced using punch cards, which are a manifestation of binary data used to drive the technology (looms). This project will position the researcher as a practitioner within the emergent body of leaders exploring the hybrid connections or realms between digital/virtual and hand/real expressions (McCullough, 2004). Processing, which has been designed to provide a visual environment for generating and modifying images. This research offers an insight into a generative digital design method and how this is applied to weave design. Generative design is primarily centered around designers writing their own software that they can use to produce outputs they would normally not be able to create with existing design tools (Pearson 2011). The research will not use computer technologies to mimic the pre-existing methods of design, (in Photoshop or Illustrator) or replace existing skills, but rather, use the programming language to extend design possibilities. The technology will create works that were previously impossible tomake (Shillito, 2013). Artists, designers and makers are well aligned and affiliated to digital technologies using tacit and technological skills to explore the close relationship between digital work and material practice (McCullough, 2004). It is the knowledge of the material that empowers the maker to take charge of new technologies (Dormer, 1997). This underpins this research where the material knowledge of the designer/maker to material, informs the use of digital technologies. Malcolm McCullough (2004) proposes that it is vital to have knowledge of making in order to design creatively and effectively with any software. Generative language of programming, allows the designer to formulate their own rules and formulae, usually including random or semi-random elements, which trigger an autonomous generative process for design creation. This cannot be entirely controlled by the designer. This investigation is concerned with unpredictability based on tacit knowledge to formulate new digital designs balanced between order and chaos (Pearson, 2011). 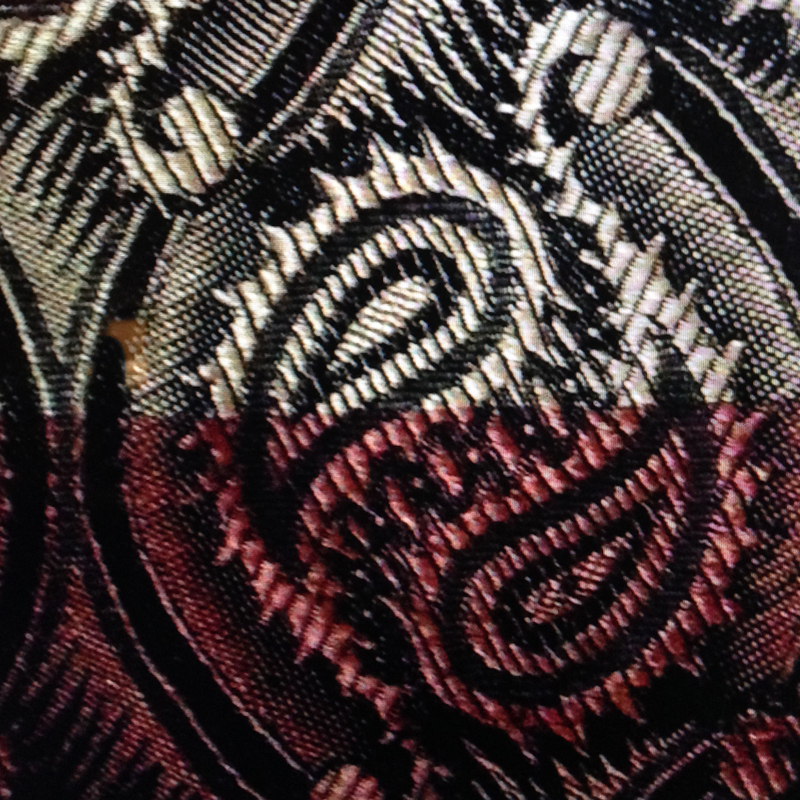 Embedding programming into pattern design offers potential for innovative research in relation to woven jacquard design and production. The research aims to encourage the fusion of traditional processes and digital technologies to reinvigorate (reanimate) woven jacquard design and cloth production. This amalgamation of the digitally generated and the physical will position the research at the forefront of contemporary jacquard weave design. Dormer, P. (1997) The culture of craft: status and future. Manchester University Press, Manchester. McCullough, M. (1996) Abstracting Craft: The Practiced Digital Hand. Cambridge: MIT Press. Pearson, M. (2011) Generative Art: A Practical Guide Using Processing. New York: Manning Publications. Shillito, A. M. (2013) Digital Crafts: Industrial Technologies for Applied Artists and Designer Makers. London: Bloomsbury Publishing Plc.